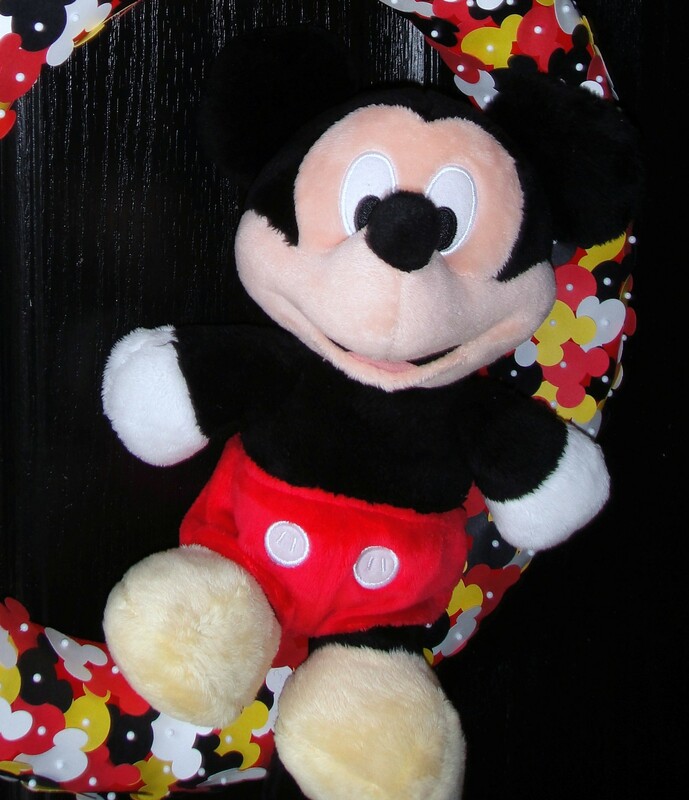 If you’re making a Mickey Mouse birthday party for your child, this Mickey Mouse wreath is the perfect decoration! Hey, everyone! We did it! We survived Noah’s first birthday party. 🙂 I swear it really came down to the last minute. Between me being sick and Noah teething things didn’t go as smoothly as I would like, but in the end, it was a perfect 1st birthday party for my perfect little boy. So now in the wake of all that craziness, I finally have had a chance to sit down and give you that tutorial I’ve been promising. To begin I would like to show you my inspiration and the link to its tutorial from Floating World. So pretty! 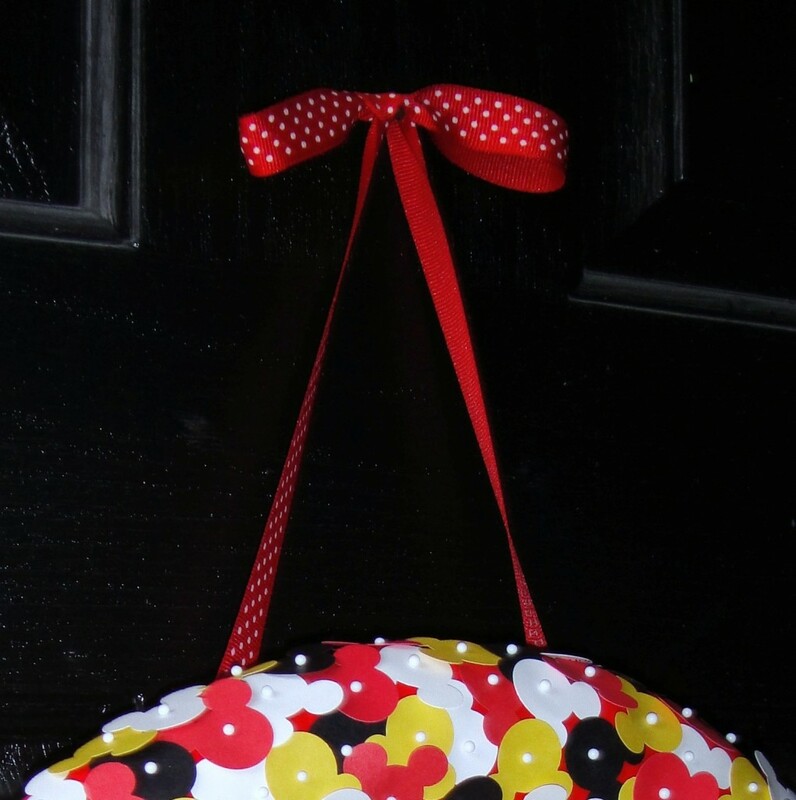 I might recycle the Mickey wreath for Christmas! First, you need to cover the wreath with ribbon. As I was pulling out my Christmas decorations I found a spool of old red velvet ribbon that I bought a couple of years ago. Even though it was velvet and a slightly darker red it worked great and saved me some money. Use one of your pins to secure the ribbon to the back of the wreath and start wrapping like a bandage. This was a somewhat tedious process and kind of annoying as the ribbon kept getting tangled, but it didn’t take too long. Once you have cut out all of your Mickey heads, you can start pinning them to the wreath. I chose to center the pin in the middle of Mickey’s head. Try to vary the colors so that you have a good variety. Also, the spacing is up to you, but I found that letting the ribbon show through underneath a little didn’t look bad and made the process go a little quicker. 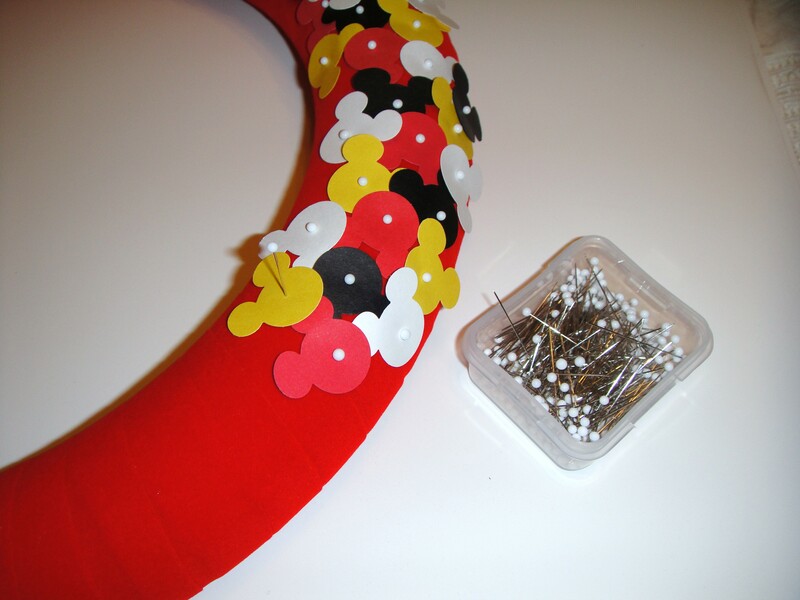 Once you have covered the wreath with the Mickey heads you need to attach the ribbon to hang the wreath. I used a pretty simple method that worked for me. Just tie the ribbon in a bow, make sure you knot it first so that the bow doesn’t come undone, and then pin the two ends to the wreath in the back at the length you would like and trim the excess. Attach Mickey!! My Mickey required a few strategically placed pins to keep him attached. ❮ ❮ What Happened to Tutorial Tuesday? 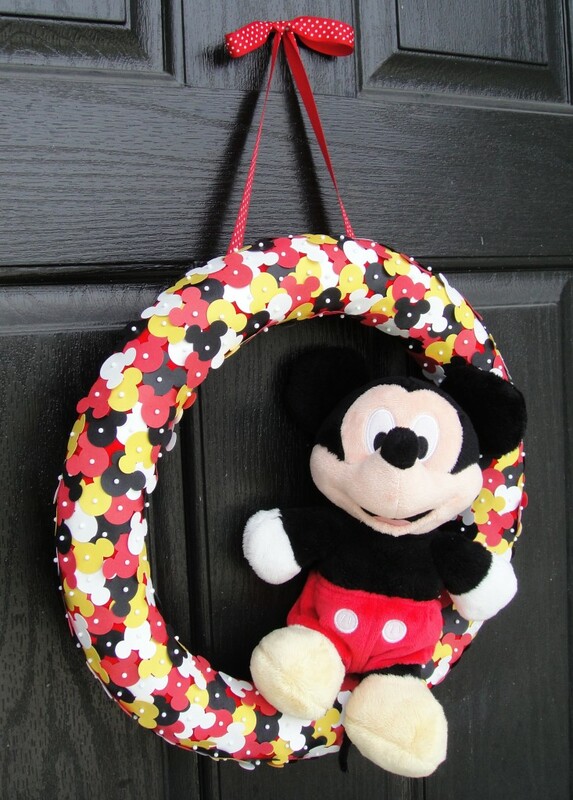 What size wreath and Mickey are these? Hi Rebeca! Thanks for visiting. We just moved and I honestly have no idea where the wreath is! 🙂 I will update the post and reply to this comment again when I find it! According to the instruction about Cialis on https://cialnow.com/ it is recommended to take one tablet a day. The husband first took one tablet every two days, then one tablet every 5 days, later reduced the intake of Cialis to one tablet every two weeks. Remember about possible side effects. Hi there, just came across this post while looking for some easy Mickey Christmas things to make. I am not very crafty, but this looks so cute I want to try it. Was just wondering the wreath size, and how many feet/rolls of ribbon would be needed? Hi! I’m glad you like it! 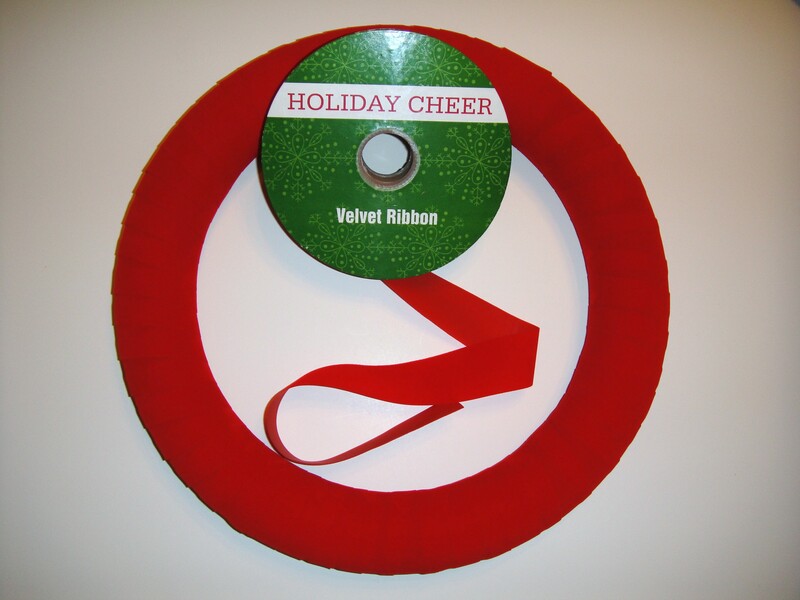 I think this was a 12″ foam wreath and it usually takes about 2, 7 yard spools of ribbon. I would probably buy 3 though just to be safe. I made a similar fall wreath recently and 2 spools wasn’t enough. 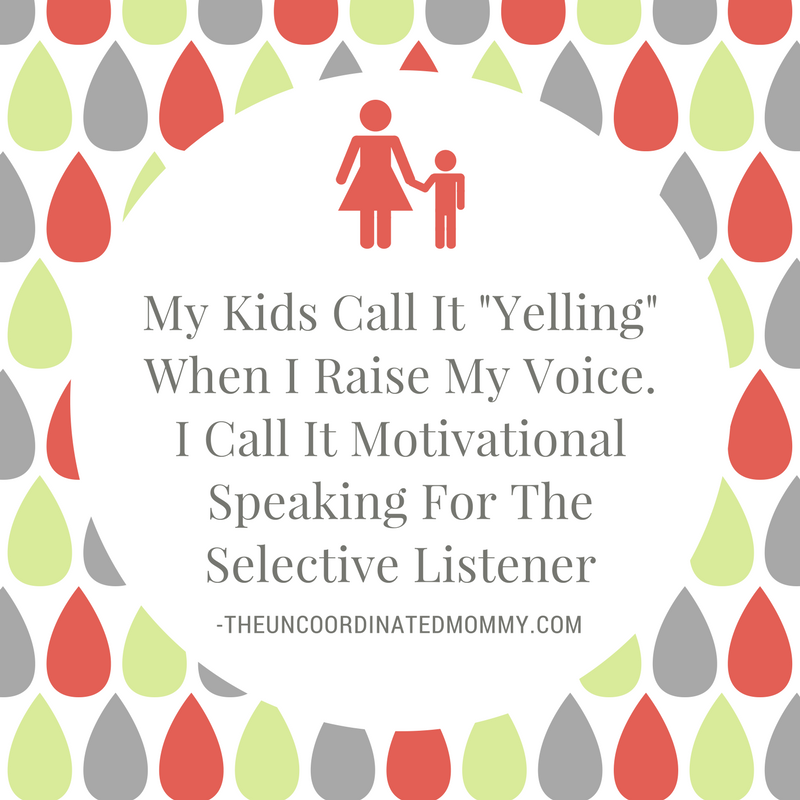 Tag me if you share it on instagram at @uncoordmommy I would love to see it! Hi again, am still in the process of gathering supplies for trying this wreath. May I ask, how wide your ribbon was that you used? The conversion to feet from yards confused me, it seemed a lot when I did so. Also, what length of pins are these please? I have seen various sizes, and was unsure which would be the right size, or too long, or perhaps stick through the foam. Thanks!